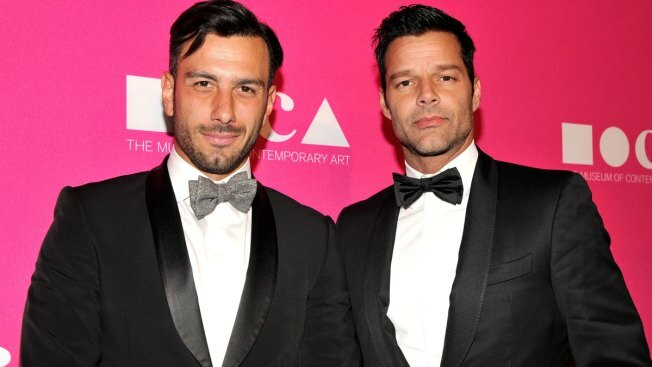 Artist Jwan Yosef (L) and singer Ricky Martin at the MOCA Gala 2017 honoring Jeff Koons at The Geffen Contemporary at MOCA on April 29, 2017 in Los Angeles, California. Ricky Martin is a married man. The star revealed this week during the premiere of "The Assassination of Gianni Versace: American Crime Story" that he and artist Jwan (JWAN) Yosef recently said I do, although he didn't specify when or where it happened. His publicist confirmed the news to The Associated Press. "I'm a husband," Martin told E! News on the red carpet for the FX series. "It feels amazing! I can't introduce him as my fiance. I can't. He's my husband. He's my man," the 46-year-old singer and actor added. The couple met in 2016 and they plan "the typical three-day party, the dinner, the rehearsal, the party and the recovery," he says. Martin plays Versace's boyfriend in "The Assassination of Gianni Versace," which premieres Jan. 17.